ACOMA sarl of Angers, France, existed between 1975 and 1984. They were one of the pioneering French microcar manufacturers and were the largest such manufacturer in France at the end of the 1970s. This, the Mini-Comtesse, was their first model. The tiny body is made of fiberglass. It features gullwing doors, so you can impress your supercar-driving neighbors. The engine is a 49cc single-cylinder and the single-seat interior is sparse at best. This is technically a five-wheeled vehicle – there is single front wheel (that is the driven wheel) and two wheels out back. 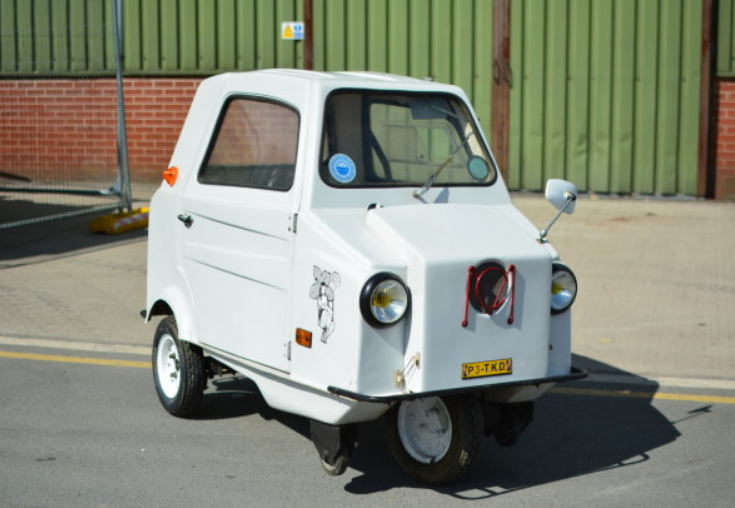 There are also two tiny wheels outboard of the driven wheel to prevent Mr. Bean-style Reliant Robin tipovers. ACOMA produced later models which all seem to be derivative takes on this car. For instance, the later Super Comtesse is a traditional four-wheeler that looks like a construction barrel had a love child with a cartoon pig. Interesting stuff. 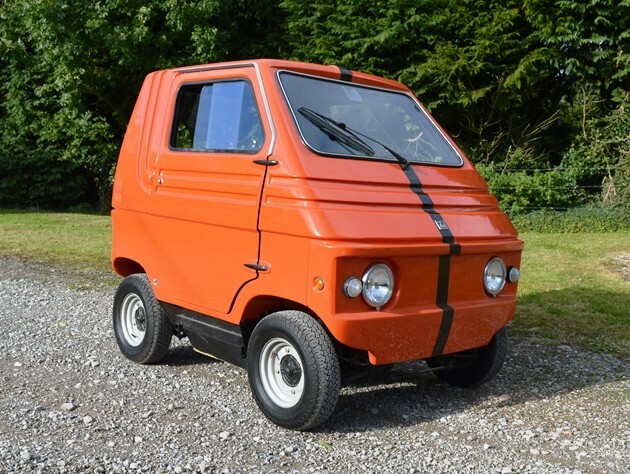 If you like microcars, this is an interesting one. It will sell at no reserve. Click here for more info. The Bristol 411 was the replacement for the short lived 410. It debuted in 1969 and was built in five distinct series until 1976. 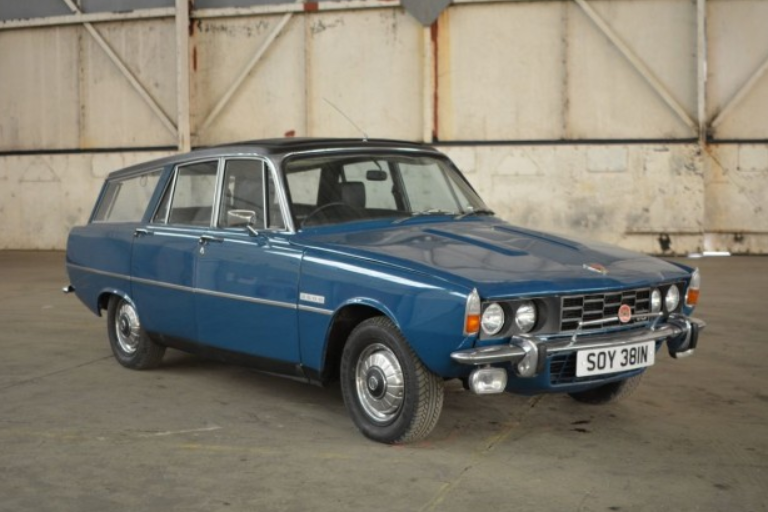 We’ve previously featured a Series II car and what you see here is a Series I, which was built between 1969 and 1970. The engine in the 411 was a 6.3-liter Chrysler V-8 making 335 horsepower. Top speed was 140 mph. For the Series II, Bristol added a self-leveling suspension. The styling would get an update for the Series III. 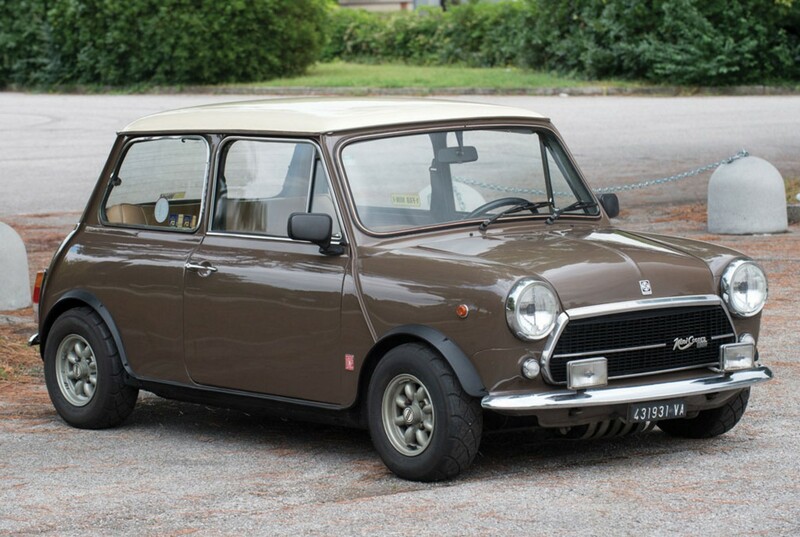 Only about 50 examples of the Series I were produced, out of a total production run of 287 cars. This 77,000 mile example should bring between $79,000-$92,000. Click here for more info and here for more from this sale. 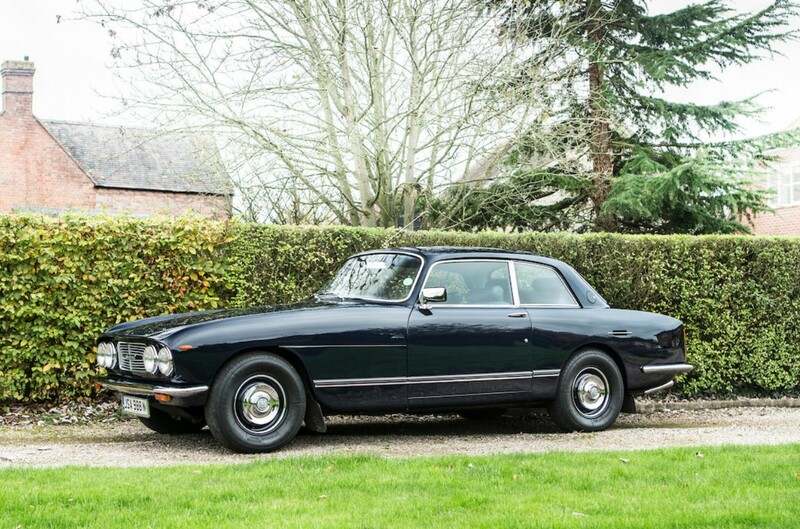 The fourth series of the Bristol 411 was only sold in 1974. It sports the same styling as the Series III, with revised grille and headlight setup. The engine was also different as Bristol went with more displacement, installing a 6.6-liter version of Chrysler’s V-8. The larger engine wasn’t enough to counteract a lower compression ratio and stricter environmental guidelines as power dropped to 264 horsepower. This example was restored over a five year period between 2006 and 2011. The Series IV had the shortest production run, but I’m not sure how many were built (of the 287 total). 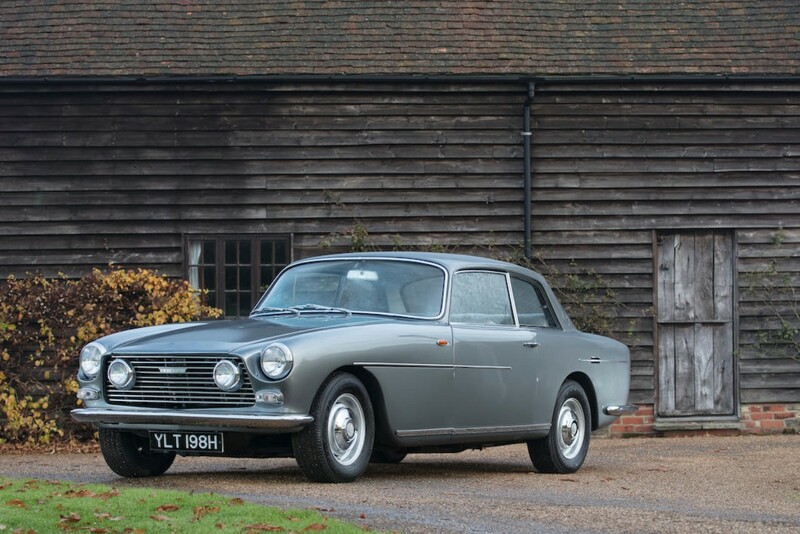 Always rare and always collectible, this Bristol should bring between $59,000-$72,000. Click here for more info and here for more from this sale. The Alfa Romeo Tipo 33 was a series of awesome prototype racing cars built by Alfa between 1966 and 1977. We’ve previously featured the Tipo 33/2 and 33/3, which were two of the earlier designs. 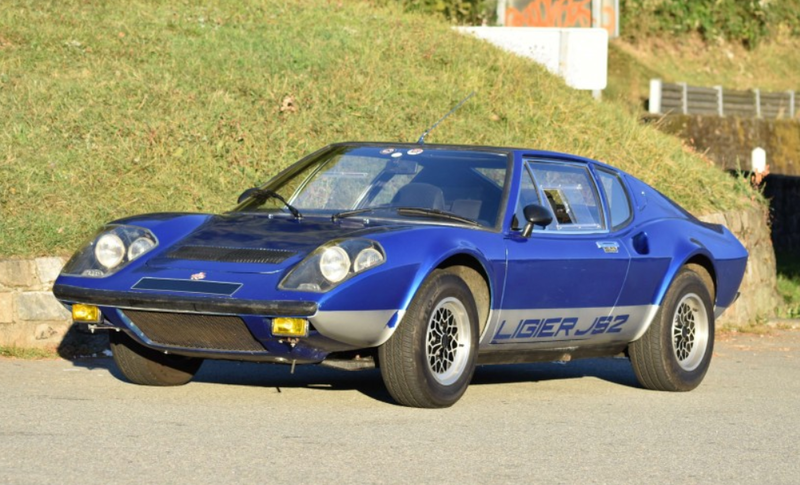 The TT 12 was the second-to-last version and it was built between 1973 and 1976. That’s just a few of the big races it competed in, as it ended up winning at least one more. For 1976, Alfa replaced the 33 TT 12s with the next generation car and this example was parked. 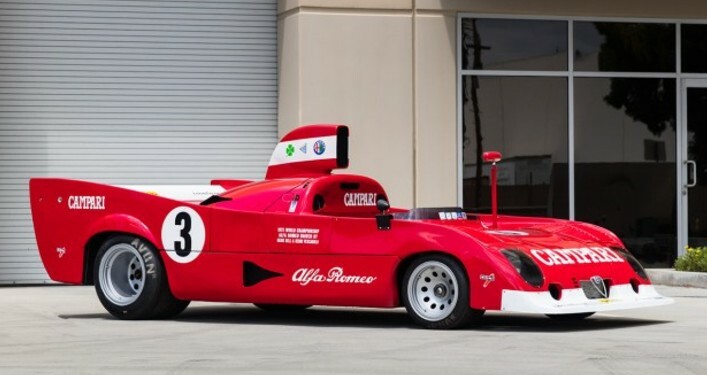 In 1980, Autodelta dealt this car to a collector in California who has owned it since. It’s shown up at the Monterey Historics six times over the years and you can take it there next year. Only six of these were built and this one should bring between $2,400,000-$2,800,000. Click here for more info and here for more from this sale. This is one of the rarest Aston Martins ever built. It’s rarer than the it-won’t-be-sold-to-the-public Bond-only special DB10 that the company built for the new Spectre film. They built 10 of those. They only built eight of these (including the 1969 Prototype that features different styling). And the styling here is very 1970s Aston. It looks just like a stretched Aston Martin V8, which is essentially what it is. Riding on a longer wheelbase, the Lagonda used the same 5.3-liter V-8 making 320 horsepower. Except for two of them. This and one other car were upgraded to a 7.0-liter V-8 making 480 horsepower. It was tested up to 145 mph before they ran out of room on the test track. 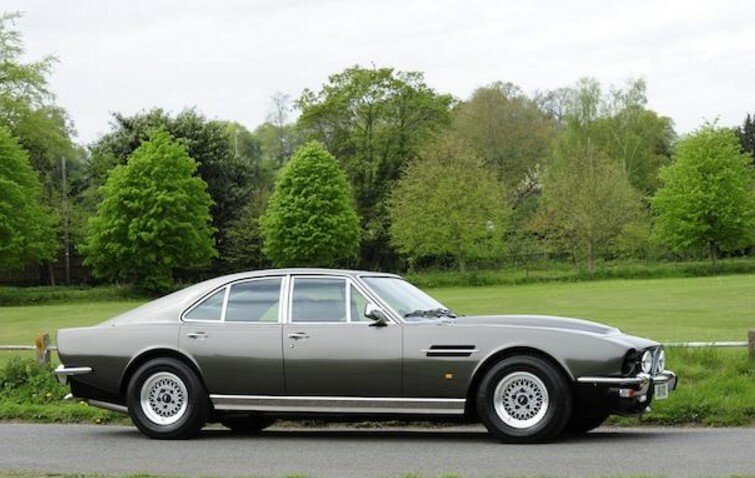 Aston revived the Lagonda name in 1974 for their luxury sport sedan. 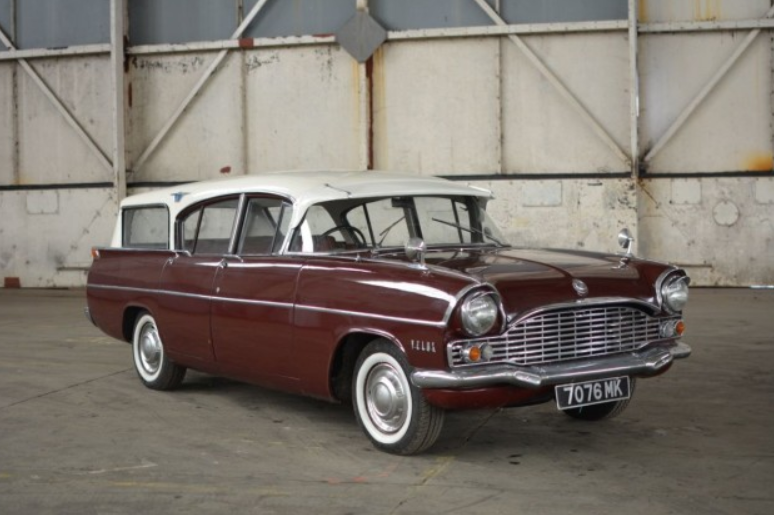 The model was around for two years before being replaced by the long-running and very boxy Lagonda sedan that people are more familiar with. 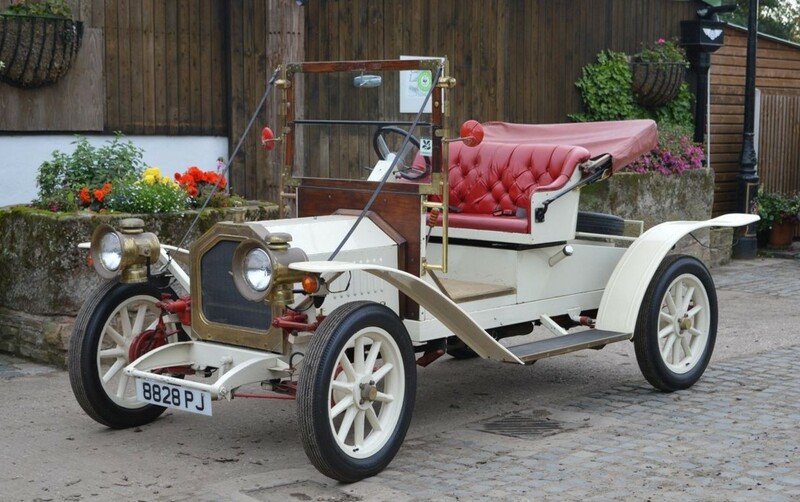 This car was extremely expensive when it went on sale – perhaps why so few were built. This car was acquired by Aston Martin 2010 for use on their display stand when they launched a new car (a project which was later cancelled, sending this car to sit in storage since). 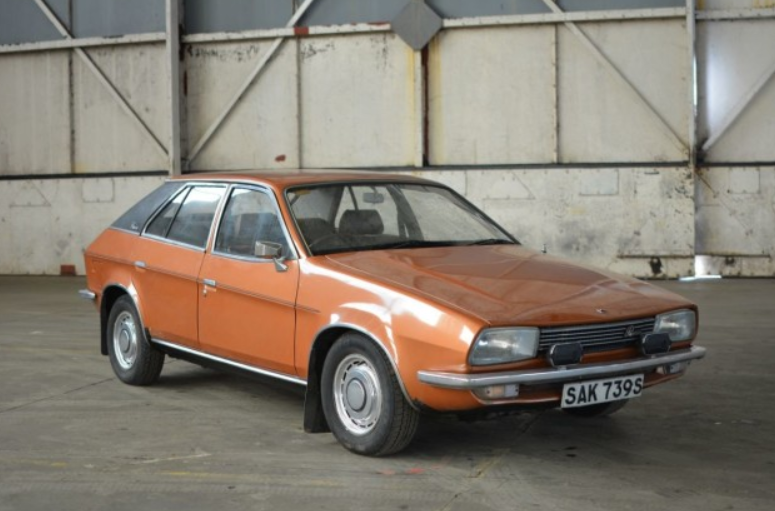 Interestingly, it was also used on their show stand at the 1974 Earls Court Motor Show. It is being offered from the factory (for the second time) with an estimate of $610,000-$760,000. Click here for more info and here for more from this sale. This Canadian masterpiece was the product of automotive entrepreneur Malcom Bricklin. 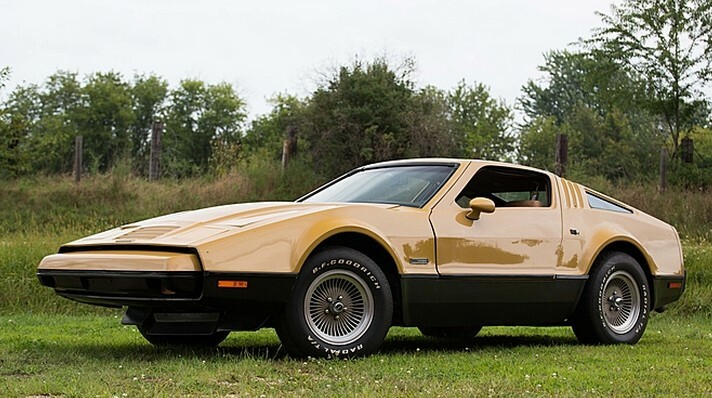 Bricklin was responsible for five different marques appearing in the U.S., including the car you see above as well as Yugo, Bertone, Pininfarina, and most successfully, Subaru. Bricklin wanted to build a safe sports car, so he went to New Brunswick, Canada, and set up shop. Production started in 1974 and this was the very first car – Bricklin’s own personal Bricklin. It is powered by a 5.9-liter V-8 from AMC. Later cars for Ford V-8s. The body is fiberglass and the colors were all “safety” colors (including this one in “suntan”). It has gullwing doors that are actually powered – able to open and close at the push of a button (the only car to ever offer such a convenience). Production was slow and the company couldn’t get ramped up in time before the receivers were called in in 1975. Only 2,854 SV-1s (“safety vehicle one”) were built before the whole idea was shuttered. A few 1976 models were built by assembling spares in Ohio. This car is serial #00001 and has 13,000 original miles. These cars aren’t super collectible or expensive but they do have a cult following. If you’re looking for one, this is absolutely the one you need to own. Click here for more info and here for more from Mecum.